First, let me say ‘Thank You’ to all of the people who entered my giveaway. Now, it is time to unveil the winner of Day Six’s giveaway. 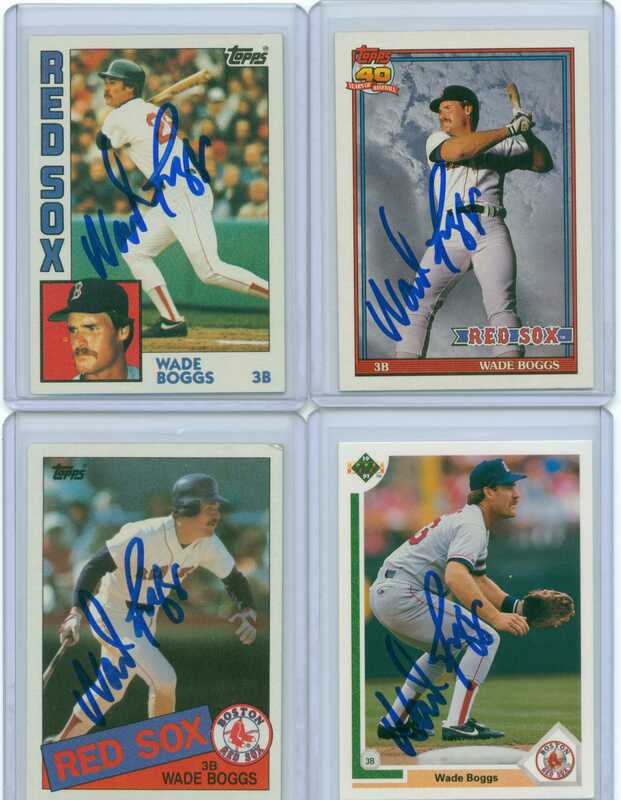 The winner of the Wade Boggs autographed baseball card is ‘Night Owl’. Congratulations, ‘Night Owl’!!! I hope that you all enjoyed this week’s worth of giveaways at ’30-YOC’. It was a lot of fun to do and I hope that I have found some good homes for these baseball cards. 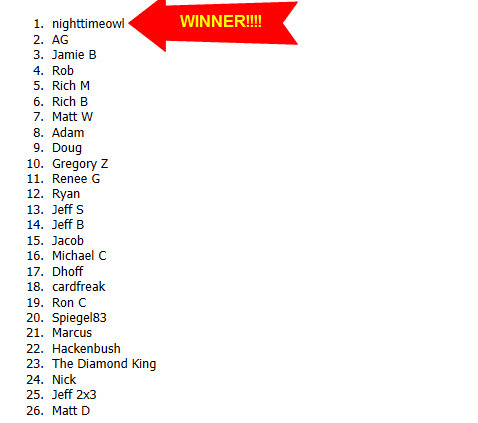 Congratulations again to all of the winners – I’ll send you all emails tonight to get your mailing addresses. And a big ‘Thank You’ again to everyone that participated!!! I hope that you had fun!! This entry was posted in Uncategorized and tagged 30-year old cardboard, 30-YOC, baseball, baseball blog, baseball card blog, baseball card giveaway, baseball cards, free baseball cards. Bookmark the permalink. Wow. It’s been a long time since I won a contest. Thanks so much!!! Whoops, got so excited I didn’t mention which one I want. Gotta go with the ’91. It’s a classic. Ah man, fourth place, so close! Thanks for your effort to have the contests.